President Donald Trumpknocked the Federal Reserve for continuing to raise interest rates despite some recent market turbulence. 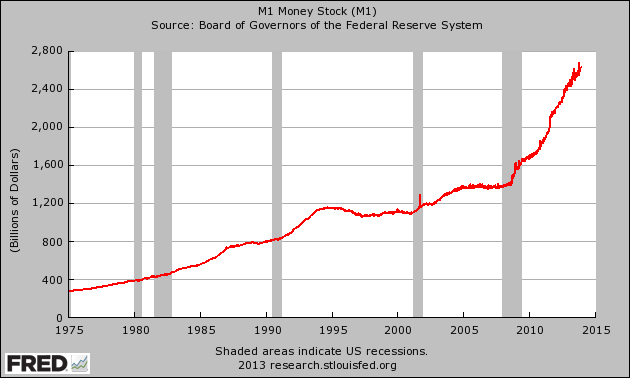 #23 The size of M1 has nearly doubledsince 2008 thanks to the reckless money printing that the Federal Reserve has been doing. #31 If you can believe it, there have been 10 different economic recessionssince 1950. The Federal Reserve created the “dotcom bubble”, the Federal Reserve created the “housing bubble” and now it has created “the everything bubble” which threatens to plunge us into the worst economic downturn in world history once it bursts. #52 The U.S. banking system has 14.4 trillion dollars in total assets. The six largest banks now account for 67 percent of those assets and all of the other banks account for only 33 percentof those assets. #57 Federal Reserve Chairman Ben Bernanke has a track record of failurethat would make the Chicago Cubs look good. I too have been a close observer of the doings of the Bank of the United States. I have had men watching you for a long time, and am convinced that you have used the funds of the bank to speculate in the breadstuffs of the country. When you won, you divided the profits amongst you, and when you lost, you charged it to the Bank. You tell me that if I take the deposits from the Bank and annul its charter I shall ruin ten thousand families. That may be true, gentlemen, but that is your sin! Should I let you go on, you will ruin fifty thousand families, and that would be my sin! You are a den of vipers and thieves. I have determined to rout you out and, by the Eternal,(bringing his fist down on the table) I will rout you out. This entry was posted in Federal Reserve, Government and tagged 10 Mind-Blowing Facts About Hurricane Michael, Audit The Federal Reserve, Comprehensive Audit Of The Federal Reserve, Donald Trump And The Federal Reserve, Federal Reserve Is A Private Banking Cartel, The Fed, DONALD TRUMP, End The Fed, Federal Reserve, President Trump, Ron Paul, The 3rd Most Powerful Hurricane Ever To Make Landfall In The U.S., The Federal Reserve, Trump. Bookmark the permalink. Federal Reserve Bank is private and is charging interests on loans to America from the fiat money owned by America !